Powered by the home of Nigerian urban, street and graffiti art , Kuma Nation, the team arrived Sri Lanka set and geared up to spread love and impact goodness on the kids . Not long after arrival, logistics were set in place and the school to be painted was selected. 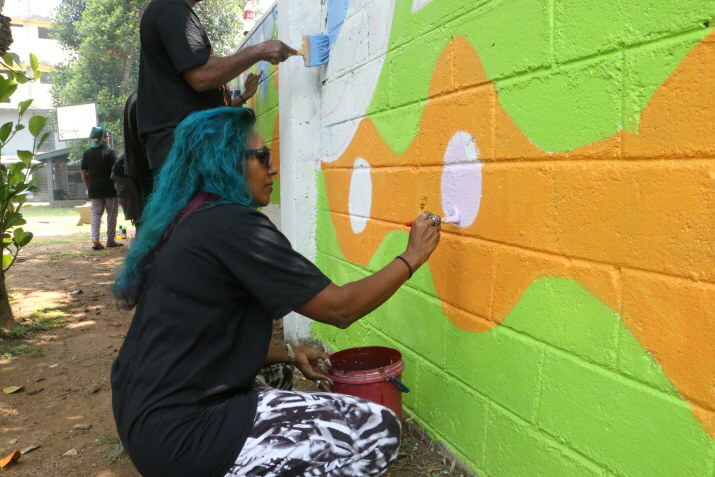 The team, comprising of both artist and volunteers from around the cities, led by Initiator, Adaora Mbelu and Nigerian graffiti artist, Osa Seven got to work, and fun with one of the longest walls the cause has encountered. 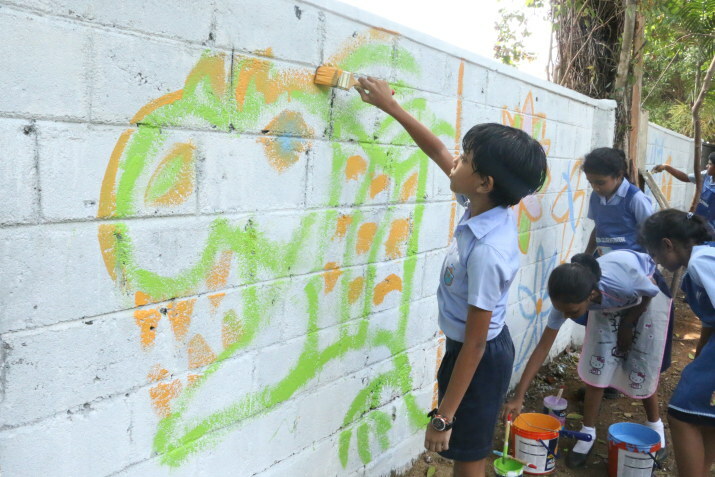 This edition of Art for a Cause witnessed one of the biggest participations of children in the beautifying of their school walls. Their enthusiasm coupled with their intrigue, their love for the art and the will to learn gave rise to the free expression of their artistic talents and the beauty inherent in every one of them. For the Socially Africa team, this went beyond impacting and showing love to young minds. 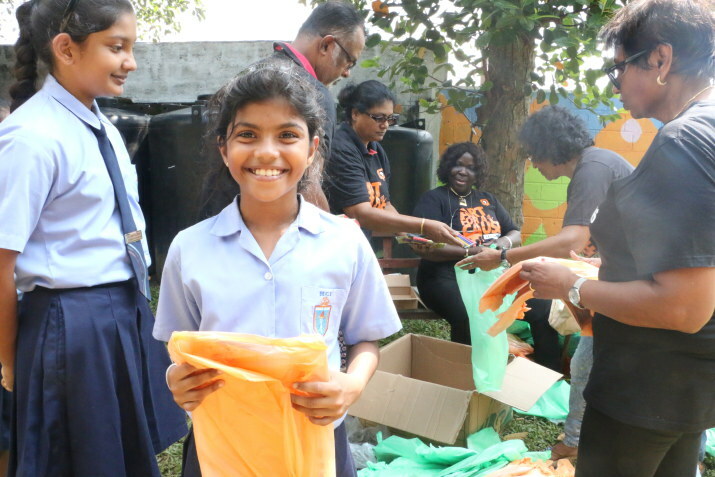 It went beyond the donation of gift items like books, and colour pencils and drawing materials to aid their artistic skills. For us too- the Socially Africa team, there was an impact, an impact that birthed fun and knowledge and so many laughter. There was a great impact from these young ones to the Socially Africa team; from their reception of the team; their freedom to allow themselves to be loved by us and for them to love us back; the simplicity of their joy; their acceptance that gives no face to differences down to the sheer credulity of their spirits not to impress but to be seen, to be associated with was indeed a priceless gift to humanity and a positive response to the movement of the Cause.